It’s a special treat for people interested in the most recent history of Europe and a convenient way to visit the objects related to the World War II. The former Prussia used to be German – until 1945 known as East Prussia. 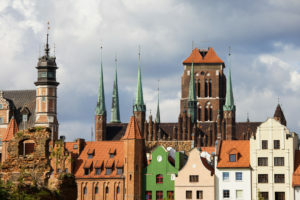 Enjoy the beauty of Gdansk, heavily destroyed during the WW II, have a look on bunkers and fortifications of the East Wall and have a look on the Brandengurg Gate in Berlin, which was the symbol of the times of the Iron Curtain after the war. Visiting Westerplatte peninsula where the first battle of the Second World War took place on September 1, 1939 is just one of the highlights of our half-day private tour. You also shouldn’t miss the former Lenin Shipyards with the Road to Freedom exhibition as well as the picturesque Main Town with its fabulous town houses and the world’s biggest brick church. Visitors love the old granaries near the river promenade and the leisurely, almost maritime atmosphere so perhaps you may like to stay and enjoy free time. If the weather is good and you feel like extensive travelling, the driver can take you also to nearby Sopot, the prime Polish seaside resort. 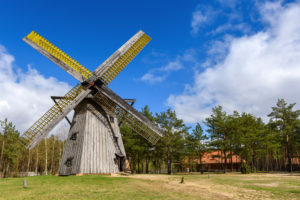 This half-day private tour will bring you to Stutthof. In 1939-1945 it was one of the cruellest of Nazi camps, and was established to round up and annihilate the Polish opposition in the Gdansk region – but after 1942 it became one of the extermination camps for the Final Solution. 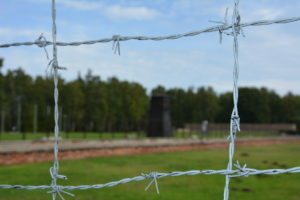 Over 100,000 people were kept in the camp, and the number of dead is estimated at 65-85,000. Leaving Gdansk we will also leave the capital of Kashubia, the region known from its culture, traditions and language. Kashubian people lived together with Poles and Germans in the Free City of Gdansk before and during the WW II. Today it’s one of biggest and most interesting minorities living in Poland. At the morning you will visit the Kashubian open air museum to learn more about the region and the polulation. Later on, on the way to Szczecinek, you will have a chance to see the former Prussian castle in Bytow build by the Teutonic Order. We can arrange the begin of this tour 2-3 days earlier in Warsaw, where you can discover the City of Phoenix, completely destroyed during the WW II and rebuild after the war. On the way to Gdansk, there will be also a visit in the Wolf’s Lair to see the ruins of Hitler’s head quarter located in the middle of Masurian forest. Due to the different seasonality in Berlin, Gdańsk and towns on the way, the final price may be different from the stated amount. Please send us a request and find out about best possible rate for your tour.